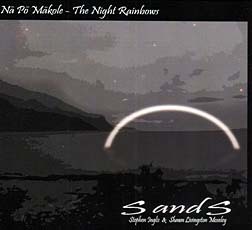 "Na Po Makole - The Night Rainbows"
The interplay between acoustic slack-key guitar and acoustic piano is the foundation of this beautiful album by guitarist Stephen Inglis and pianist Shawn Livingston Moseley. The two instruments fit together perfectly. The duo establish their modus operandi with the first two selections, "Kalaupapa Kalico" and "Lo'ihi." Both numbers are duets with Inglis and Moseley each getting time as soloists, and the ki ho alo textures give the duo's work a fresh feel. The duo concept is shelved, however, as the album progresses. Celebrity guest Cindy Combs plays "Pinao" as an ukulele solo, and Inglis and Moseley also each go solo. 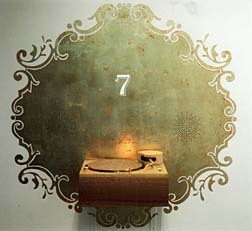 Hawaii's "alt rock" scene didn't dry up and blow away as some of his fans in the local media opined it would when Frank Orrall left Honolulu with Poi Dog Pondering in the late 1980s, but "7," the seventh PdP studio album, reminds us once again that Hawaii is the poorer for his absence. It opens with "Perfect Music," a song that sounds at first like a very close cousin of Alabama's 1982 hit, "Mountain Music," but by the midpoint shows itself to be an original. "Lemon Drop Man" stands out as a requiem for the victim of a drug overdose. Orrall is PdP's primary composer and lyricist, and he does a memorable job expressing the pain of a friend's needless and avoidable death. He also addresses the always fascinating subject of male-female relationships; explicitly in some songs, subtly in others. PdP uses such an eclectic assortment of instruments that no two songs sound the same. Yet somehow, the 14 incongruent arrangements all fit. Attentive listening also reveals that the songs create a dramatic arc of lyric images and musical arrangements. PdP wraps it up with a sexually driven rocker, "Super Tarana," followed by "Space Dust," a somnambulant dreamscape that ends the musical journey on a dark but soothing note. 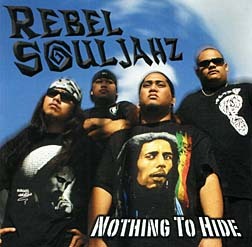 Rebel Souljahz contributes to the perpetuation of Jawaiian music with this collection of originals built upon the familiar point/counterpoint rhythms of bass and electric keyboards. The credits don't include musicians' credits, but the harmonies speak for themselves. Alas, the guys indulge in trite faux-Rasta accents as well. "Skankin'" and "Irie Beach Party" describe some of the quartet's favorite pastimes in catchy commercial style. "I'm Not the Man for You" shows that the group can step beyond basic Jawaiian riffs and get soulful; a solo keyboard provides instrumental support on a song about a guy who has to tell his girlfriend that he is in love with another woman. The song is a downer, but the arrangement is impressive. And, on a lighter note, if it's possible for Jawaiian song to pass muster as a prom theme, the title track, with its romantic theme and "slow jams" rhythm, would be a perfect choice.